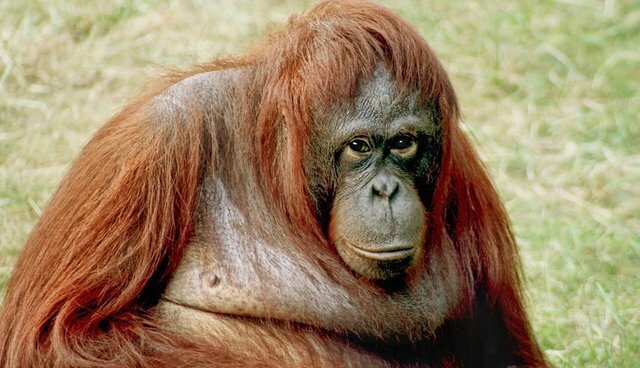 In a landmark ruling that challenges the commonly held notion that animals are mere objects lacking in the most fundamental rights as beings, a court in Argentina has declared that a zoo orangutan named Sandra is a "non-human" subject and thus entitled to her freedom. Sandra, who was born at a German zoo in 1986, has spent her entire life in captivity. Since being transferred to the Buenos Aires Zoo in 1994, she's said to have been a reluctant captive, shying away from the attention of onlookers. Orangutans are the most solitary of the great apes, a factor that makes Sandra's situation all the more unnatural. But her life could change for the better. In November, the group Association of Professional Lawyers for Animal Rights (AFADA) filed a legal petition on Sandra's behalf, saying that she was being unlawfully detained under the writ of habeas corpus. Attorneys argued that the orangutan exhibited an emotional complexity and sense of self-awareness - and was thus deserving of legal rights of personhood that would end her suffering in captivity. And an Argentine court agreed, for the most part. As the Buenos Aires Herald reported over the weekend, judges from the nation's second-highest court unanimously agreed that animals, like Sandra, have rights as "non-humans." "From a dynamic, not a static, legal interpretation, it is necessary to recognize that [Sandra] has rights, as non-human subjects (animals) are holders of rights," the court ruled, ordering that the orangutan be released. If the zoo does not appeal the ruling to Argentina's Supreme Court, Sandra will be relocated to a primate sanctuary in Brazil where she will live out her days in a setting more befitting of her nature. "This is a historic step. It is a blow to the spine of the Argentine legal system, whose civil rules consider animals as things and opens the way not only for the great apes, but also for the rest of those sentient beings who are unfairly and arbitrarily deprived of liberty in zoos, circuses, water parks and experimentation." Sandra is not the first zoo primate to have been recognized as a "non-human" with rights. In 2005, a zoo chimpanzee named Switzerland was granted freedom under habeas corpus by a Brazilian court; sadly, however, she was found dead in her enclosure the day after the ruling. In the United States, similar bids seeking personhood for primates are being undertaken, though the legal system has proven far less open to the idea that animals are deserving of rights. "We're looking at species that we can prove in a court of law are determined emotionally and cognitively complex to qualify for personhood," NRP executive director Natalie Prosin told The Dodo. "We believe that we have evidence for this level of cognitive complexity for all species of great apes, African and Asian elephants and some cetaceans like orca whales and dolphins." "We intend to bring the Argentine case to the attention of the New York appellate courts immediately as we believe it will assist the courts in reaching a similar conclusion for our chimpanzee plaintiffs." UPDATE 12/26/2014: Learn more about what this court ruling might could mean for Sandra's future.